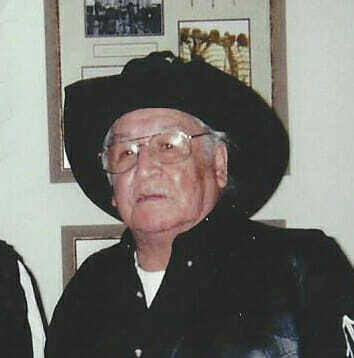 Francis Jacob “Tanoose” “Frank” Lovejoy, age 81, of St. Michael passed on to the spirit world on August 13, 2018 at his home in St. Michael, surrounded by his loving family. Francis J. Lovejoy was born August 5, 1937 at the Ft. Totten Hospital, the son of Alfred & Lucy (Abraham) Lovejoy. He married the love of his life Mary Louise Whiteshield on August 29, 1980 in Minnewaukan, North Dakota. He has 10 children, 70 grandchildren, and 32 great-grandchildren. Francis enjoyed watching rodeos, listening to pow-wow music, fishing, Bingo, and playing slot machines. Most of all he enjoyed being around his grandchildren and family. He liked to make jokes and laughing around with family and friends. He had worked for the Spirit Lake Housing for so many years and also construction work for some time in Devils Lake. He attended CCCC College in 2013 with his wife Mary L. Lovejoy. Francis is survived by his children, Myrna Whiteshield, Michael Jackson, Ivan Lovejoy, James Lovejoy, Keith Longie, Jada Longie, Gerald Longie, Ivy Lovejoy, Kasey Lovejoy, Ashley Lovejoy, and Fanette Lovejoy. His brother, Benedict T. Lovejoy. Also 70 grandchildren and 32 great-grandchildren. He was preceded in death by his parents, Alfred and Lucy Lovejoy, wife Mary, sons Francis Lovejoy, Jr., Terrence Guy Benadetta Lovejoy, grandchildren, Sydney & Hunter Lovejoy, Nicole Bear, Dalton and Dillon Whiteshield. Wake will be held Wednesday after 5 pm with a Rosary Service at 8 PM all in the St. Michael Wellness Center, St. Michael, ND. Family and Friends wishing to join the procession from New Rockford to St. Michael may gather on the St. Jerome’s road prior to 4:30PM. Mass of Christian Burial will be held Thursday, August 23, 2018, at 10:00AM in St. Michael’s Catholic Church, St. Michael, ND. Burial will be held at the St. Michael’s Cemetery,St. Michael, ND. Fly high Frank “Spark it” Lovejoy sorry I can’t make it to your services but your in my prayers my Koda say hi to my mom an dad for me thank you. and I will never forget you. may you have a beautiful journey home and I will always pray for you. RIP Frank! So hard to believe that you are no longer here, but we will meet again!